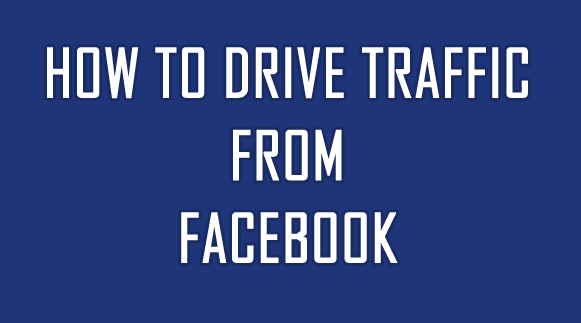 Well we are sharing Effective Ways to Drive Traffic Using Facebook To Blog. Do you have a blog? If not Make a New Blog And if you already have a blog and want to drive some quality traffic to your blog then you now will get some effective ways to increase page views of your blog weather your blog is based on Blogging tricks, Education etc.You will learn how to get traffic to your blog even when you are not posting for long time. Because Here Facebook plays a great role in increasing blog Drive Traffic Using Facebook. Facebook is not just for fun it can help you achieve success.That is not important for you to be professional in using facebook.You just need to do what this article says.Then you will find your way to success.I am sure that you won’t be disappointing after reading this tutorial because this tutorial will explain it all that is necessary for you to be successful in Blogging using Facebook. Make a new Facebook group and add your friends and if some of your friends are closer to you then you can ask them to add their friends in your group and if you have something cool to post or trick that your friends might be interested in then post on the group that ‘If you want this trick then add your 100 Friends to the group and I will Send you the Trick’ In this way everyone likes to do the same.So your group will grow and grow and grow. Tip: Choose a Name that is easy to Remember so that your friends and others can again find that group. I am not saying you to post 7-8 times on your FB Groups and pages but must post daily.You can post some cool images of Facts.People are more likely to visit a Group/Page again those are updated regularly and are updated. Tip: Post Some Question Related to your Niche or get some Facts From the internet and post it on your groups/Pages at least one time in a day. Don’t be rude with every single person they could be your one of your loyal visitors.Make new friends but don’t send more friends request as Facebook can block you.Take benefits of making friends and chatting with them.If you daily send a message of ‘Hi’ to 20 of your friends and ask them how they are there will be tons of chances that your Facebook profile post will come to their timeline.Atleast those 20 visitors can be your loyal visitors of your blog.If 20 of those visitors will visit your blog and will surf for at least 1 minute.Your page-views will be like 200 per day.So don’t focus on making more friends only focus on making true Friends. Tip: Don’t be over Friendly with any one.People don’t like too much talk in chats so better comment on their posts and like their status updates. These tips are enough to get massive traffic to your blog from Facebook.It’s my experience so i am sure that these tips are the best tips of facebook which can be used for increasing your social media Traffc.I hope you like the post and will share it with your Closer friends and relatives if you want to help them increase traffic of their blogs.